Tonight: Some cloudiness. Lows in the low 30s. Sunday: Mix sun and clouds. Less wind. Mild. 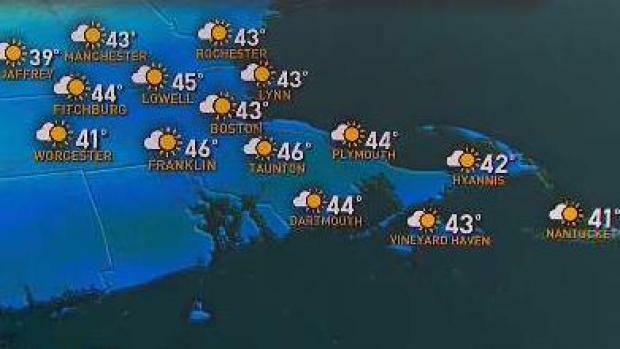 Highs in the mid 40s. Monday: Increasing cloudy. Showers late. Highs in the upper 30s. Flood warnings in parts of New England have been in effect for nine days. Most warnings have been prompted by ice jam flooding, which has been very serious in Connecticut. Some of these ice jams have been so significant that they’ve been seen from satellite! The United States Coast Guard ice breakers have been trying to cut through ice in an effort to ease flooding. The Town of Haddam in Connecticut remains under a State of Emergency. Although water levels are starting to recede, this current forecast promotes further ice jam formation. We made significant amounts of ice during the last week of December and first week of January. High temperatures never made it out of the teens. Some rivers built up one to two feet of ice. Heavy rain and temperatures soaring into the 60s helped break up the ice causing significant ice jams. This coming week temperature climb back into the upper 40s and low 50s with another round of locally heavy rain. No, there won’t be as much rain as the last storm and there isn’t as much snow to melt, but the damage is already done and the forecast warm up and rain will exacerbate the situation. Temperatures will climb above freezing for the next 10 days as this January thaw continues. The weather looks very nice for the AFC Championship Game on Sunday. It will be sunny, pleasantly cool with little wind.